The dead started to rise in Grave Mania: Undead Fever and normally, this means that funeral parlor Funeraria Loca is having its business play dead too. Therefore, it’s your job to “fix” the situation and make sure that the dead remain dead – and send the underground. It’s pretty fun for a concept of a game and I can already see some good comedy zombie movies made based on this idea! 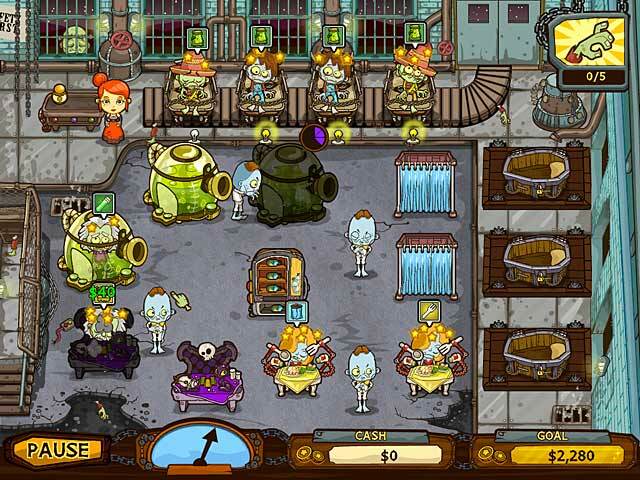 However, Grave Mania: Undead Fever is just a game which can be purchased for as low as $3 on Big Fish Games (click the link to visit it) so if one of your dreams is putting Zombies to rest (like forever), then you have to try out this game. There’s also a free demo for it, so you can have some fun for free too!